Introducing the all-new BMW X2 SAV. This BMW boasts ample space for up to five passengers and plenty of room in the cargo hold, too. A long, relatively flat roof makes it an ideal complement to your active lifestyle in or around Los Angeles. Able to carry bikes, kayaks, ski racks and more, the X2 is ready to conquer the day. What's more, this compact BMW SAV comes well-equipped with tons of standard featured and amenities you'd expect from a new BMW. The new X2 boasts a sleek design, low-slung roofline, and stout proportions that make it look every bit as aggressive and fun-to-drive as it is. What's more, this BMW features a new take on BMW's traditional kidney grille, plus other unique accents – like a C-pillar roundel emblem. Inside, you'll find plenty of soft-touch materials, standard leatherette or available premium leather, and plenty of infotainment and comfort features. Every X2 comes standard with a 2.0-liter TwinPower Turbo four-cylinder engine that helps this BMW reach 60 mph from a standstill in an estimated 6.6 seconds with rear-wheel-drive, or 6.3 seconds with xDrive all-wheel-drive. From LED headlights with cornering lights to several alloy wheel choices to wireless Apple CarPlay™ compatibility and more, the BMW X2 makes available to you the things that matter most. You can also equip your X2 with a unique M Sport exterior to add an even more athletic flair to this already performance-oriented and stylistically unique SAV. Interested in learning more about the new BMW X2? 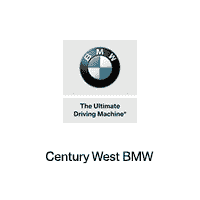 Contact us today here at Century West BMW! You can either reach out to us online or give us a call at (818) 432-9000 today. Either way, we're happy to hear from you!